The Indiana Department of Education (IDOE) in excited to announce Dr. Andrew Melin as Chief Innovation Officer. Dr. Melin’s area will combine the offices of Workforce, STEM, and CTE with Teacher Effectiveness, Licensing, and Educator Preparation Programs. This new Office of Innovation is designed to bring together those areas in which IDOE seeks to deploy new educational models. Dr. Melin’s 30 years of service in Indiana public education, nearly 14 of these in a district leadership role, make him a valuable asset to the field. These organizational changes have been made to increase our long-term effectiveness with schools, educators, families, and students. This is part of a continued effort to better align our structure to meet the demands of strategic priorities within the context of the anticipated biennial budget. As a safety and security reminder, February 14 marks one year since the mass shooting at Stoneman Douglas High School, in Parkland, FL. Dates of significance could potentially generate student and building issues. Here are links of resources for SEL Wellness, Building Security, and Threat Protocols. Students now have the option of an alternate course to Algebra II, entitled Analytical Algebra II. This new course will satisfy the math requirement for all three diploma designations. Student enrollment requires a parent consent form. Last week’s Analytical Algebra II consent form, created by the State Board of Education staff, mistakenly said a Technical Honors designation required eight math credits. This was in error, as a Technical Honors designation requires six math credits. Please find the revised form here and an explanatory memo here. All questions should be sent to Brian Murphy. An Analytical Algebra II FAQ document can be found here. IDOE posted the proposed amendment to its website and provided a public comment window from November 19 through December 21, 2018, to seek input on the proposed amendment. IDOE reviewed the public submissions and made revisions to the amendment accordingly. Pursuant to sec. 1111(a)(6)(B) of the ESSA, the U.S. Department of Education must provide a response on the amendment within ninety (90) days of the submission. The final version of the amendment, and other documentation submitted in compliance with the U.S. Department of Education requirements, is available here for review. Additional resources for schools and the public will be made available in the near future. Reminder, the Waiver of Instructional Days Policy has been updated. To clarify, traditional school days that were turned into eLearning days to avoid cancelling the instructional day are not considered cancellations and should be entered into DOE's Online calendar application as “E-Learning in Lieu of Cancellation.” Cancelled days can be made up with either eLearning days or face-to-face instruction on a day occurring after the cancellation. Make-up days occur on a day when instruction was not originally scheduled to occur. Scenario 1. Weather is bad and eLearning day(s) are called. This is not a cancellation, because instruction is still occurring on a planned instructional day. This eLearning day does not count toward the five make-up days required to be considered for a waiver. Scenario 2. Weather is bad and school is cancelled. No instruction takes place on this day. School decides to conduct school (e-Learning or traditional on premise) on a day when no instruction was originally scheduled (e.g., President’s Day), and decides that this will be conducted as an eLearning day. This is a cancelled day that is made up with an eLearning day. This day does count as one of the five cancellations in order to be considered for a waiver. Please forward all questions here. ISTEP+ Retest for Grade 10, ECA, and ILEARN Biology ECA Windows Open Monday! ISTEP + Grade 10 and ECA Retest windows are open Monday, February 11 through Friday, March 8. As a reminder, these students will be automatically “second-scored” with no need to request rescoures in order for results to be available earlier for graduation planning purposes. Retest students must be provided the retest form in order to receive results by graduation. Updated 2018-2019 ISTEP + ECA Retest, ISTEP+ Grade 10 Retest, and newly posted ISTEP + Grade 10 First Time Test Administration Manuals (TAMs) are all available for download now at the Indiana ISTEP+ Resource Center. No manuals will be shipped to schools; instead educators can download and/or print PDF files. The ILEARN Biology ECA window is open Monday, February 11, through Thursday, February 28. The ILEARN Biology ECA is for students completing the course in the second trimester or students needing this assessment to fulfill science assessment requirements. Please review the ILEARN Biology ECA participation guidance. Corporations and schools should contact the AIR Help Desk by email or phone (866-298-4256) for assistance with technical issues. Please feel free to contact our office with policy or programmatic questions. The Office of Student Assessment will conduct unannounced onsite monitoring visits during the following testing windows beginning this month: ISTEP+ Grade 10 Spring Retest, ISTEP+ Grade 10 First Time Administration, ISTEP+ ECA Spring Retest, and ILEARN Biology. Please ensure that school administrators and staff are aware that these onsite visits will be conducted. Click here for more details. American Institutes for Research (AIR) sent a final email to I AM test administrators on Tuesday, February 5, to confirm their registration to one of our live trainings taking place Monday, February 25 through Friday, March 22. Please check local spam filters and contract the AIR Help Desk if I AM test administrator(s) did not receive this confirmation email. All accessibility considerations should be communicated to Stephanie Thompson by the end of today, February 8. The second membership count data submission window is currently open. Although this is a required membership count for all public school corporations and charter schools, the data will NOT be used in the FY 2019 State Tuition Support formula. Specific information related to opening and closing times can be found in the DOE-ME layout in the Data Reporting Community of the Learning Connection. If you have questions, please contact Amy Pattison or Melissa Ambre. IDOE's Office of School Finance is sponsoring a Budget Workshop on Wednesday, June 26. The workshop will be held at the Pike Performing Arts Center, 6701 Zionsville Road, Indianapolis. The program will begin at 9:00 a.m. (EDT), conclude around 3:00 p.m., and contain numerous areas of interest to school corporations' personnel. 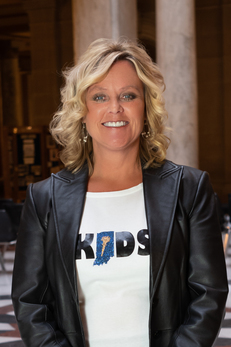 Presentations will focus on IDOE finance related topics, data collection, and updates from the State Board of Accounts and the Indiana Employment and Education Relations Board. More information will be forthcoming. Beginning today, February 8, and ending on March 31, the Office of School Finance is accepting applications for FY 2020 Indirect Cost Rates. Local Education Agencies, including school corporations and charter schools, that provided Form 9 financial data for FY 2018 are eligible to apply for FY 2020 indirect cost rates. New charter schools are eligible to apply but subject to the median rate. Information on the application process and required documents can be found in the Finance Community of the Learning Connection under Files and Bookmarks > Indirect Cost Rates. Please email questions regarding indirect cost rates here. The window to submit the Estimated Instructional Costs Report and List of Courses for Summer School 2019 is open. The Estimated Instructional Costs Report and List of Courses are required to be submitted on or before Monday, April 1. The Estimated Instructional Costs Report and List of Courses and the Final Costs Report (available July 29 - September 13) are required to be submitted by the posted deadlines in order to receive a payment for reimbursement of summer school costs. The link to submit the Estimated Instructional Costs Report and List of Courses can be accessed here. Corporation administrators and school administrators may use their DOE Online credentials to login to the report. Detailed information about how to complete the report is included in 2019 Summer School 101. The reports and additional information about the Summer School Program are posted here, and in the Finance Community on the Learning Connection under Files and Bookmarks > Summer School. Social-Emotional Learning Resources Q&A WebEx will be held on February 19 from 3:00-4:30 EST. During the presentation, IDOE staff will share the newly released Social, Emotional, and Behavioral Wellness website, which includes competencies and toolkits. There will be time for attendees to ask questions about the website and resources. Please use the following link to register for this WebEx. After registration is submitted, additional WebEx information will be provided. IDOE is pleased to release early learning guidance for Math and English Language Arts. This guidance is a resource for early educators to support and enhance children’s learning and development while using the Foundations, Indiana’s Early Learning Development Framework. Subsequent guidance on other content areas will be released throughout the year. The revised Indiana Academic Standards for World Languages (Classical/Modern, East Asian, and American Sign Language Secondary) is open for public comment as of February 8. Please click here for the surveys. These surveys will close February 19. Diploma seal ordering is live! Click here to read the instructional ordering memo and access the order form online. IDOE's literacy team has released its monthly newsletter. Please take a moment to read about important literacy information. Indiana is seeking information about the variety of college and career readiness programs being implemented across the state. We’re requesting honest feedback to determine strengths, weaknesses, and overall usability of each program, course, or tool. In order to collect these results, we ask any classroom teachers, school counselors, or other staff implementing college/career exploration programs, to complete a 15-minute survey, related to their experiences. Please forward this survey to any staff members implementing college/career exploration in your corporation. Survey respondents will be invited to register to win one of five $100 Amazon gift cards. This survey is being managed by Diehl Consulting Group, an independent party. Results will protect anonymity, and no attempt will be made to identify individual respondents. Thank you in advance for your support of this important initiative. IDOE is hosting a Computer Science Curriculum Showcase at Center Grove Community School Corporation’s Innovation Center. The event will take place Thursday, February 21, from 9:00 a.m. to 2:30 p.m. Representatives from all grade levels are encouraged to attend to learn about computer science curriculum options, and how to provide students with high-quality computer science experiences. This opportunity may also help you to plan how your district will comply with the requirements of Senate Enrolled Act 172, and it may provide additional guidance for future school improvement plans. Click here to register. The 2019 Digital Learning Grant (up to $50,000) supports future-focused leadership in pursuing projects aligned to IDOE strategic priorities. With this grant, we are looking for districts with the vision to take digital learning to the next level. Additional information is available here. IDOE is announcing its participation in the E-rate match program for special construction projects. This is available to any public school in Indiana, and is a pilot program for FY2019 (July 1, 2019 to June 30, 2020), which may then be reviewed and modified as needed. Learn more here. View previous weekly updates from Dr. McCormick here. Did you miss a message? View previous weekly emails here. Want daily updates? Be sure to follow the Department on Twitter and Facebook. An Update from the Indiana Department of Education is created by the Office of Communications, and will be sent every Friday. If you recently contacted the IDOE, please complete this survey to share your experience.